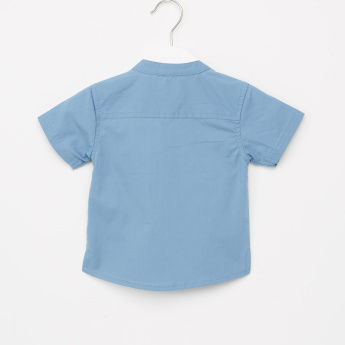 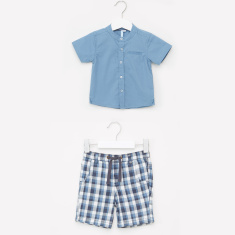 Update your little one's wardrobe with this chic shirt and shorts set which is an ideal pick for any casual occasion. 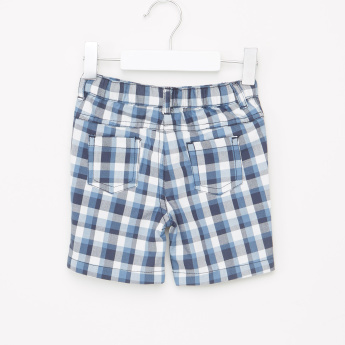 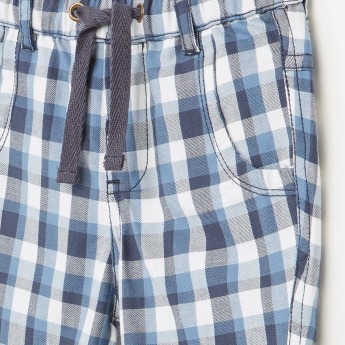 The shirt features mandarin collar and pocket detail that gives it a smart appeal whereas the shorts come with a chequered pattern that further adds to its style. 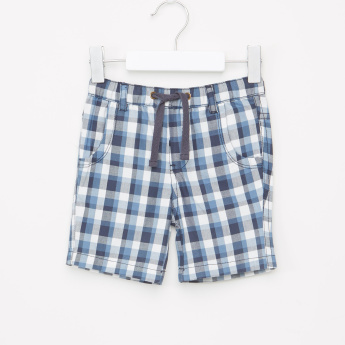 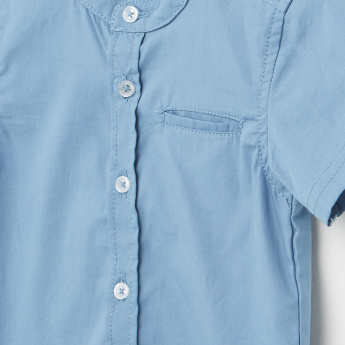 The soft fabric of the set will keep your little champ comfortable the entire day.